Mitch McConnell isn’t a stranger to doubting science—he also pushed back on medical anti-smoking claims while accepting lavish industry gifts. In an election that could propel Senator Mitch McConnell to become Senate majority leader—a position that would give him wide sway over climate change policy, including influence over the Environmental Protection Agency—, the Kentucky politician declined to respond to a question earlier this month about whether he believes climate change is a real problem. “I’m not a scientist,” McConnell responded in an interview with The Cincinnati Enquirer’s editorial board. But earlier in his career, when McConnell played a pivotal role on behalf of the tobacco industry against increasing government regulation and taxes, the Republican leader believed he had enough scientific knowledge to question public-health officials. “There clearly is insufficient science or logic to justify this extreme action,” McConnell said in 1993, at the time enraged that the government had proposed a ban on smoking in federal buildings. 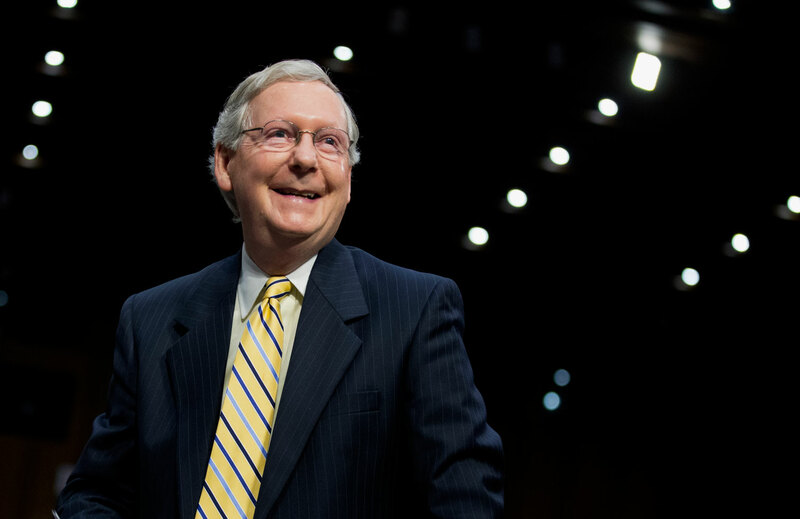 In many ways, McConnell’s willingness to help big tobacco was rewarded. The Nation has identified twenty-two different notes from McConnell and his staff to tobacco lobbyists, thanking them for various gifts. “Thank you so much for sending me the beautiful ham,” wrote McConnell in one such note to a representative of the Tobacco Institute. Other letters thank tobacco reps for their gifts of “delicious pecan candies,” “luscious citrus fruit,” Ringo Starr tickets and other tickets to various theater performances and football games. The biggest payoff for McConnell’s advocacy related to election money. After helping to “kill a proposal to curb youth smoking,” McConnell reportedly asked an R.J. Reynolds lobbyist for $200,000 in campaign money for Republican senators. Philip Morris later provided the senator with $150,000 for GOP campaigns, according to a report by the Herald-Leader’s John Cheves. When McConnell provided his “I’m not a scientist” response, he was quickly attacked by critics for a feckless dodge, particularly given the fact that US senators must decide on a range of national policies regardless of professional experience. Seen through another prism, McConnell’s reply echoes the overriding concerns of his new campaign benefactors: the fossil-fuel industry. Peabody Energy and Alliance Resource Partners, two coals firms, now rank among McConnell’s top campaign donors. Other campaign outfits designed to boost McConnell’s election prospects are funded by oil and coal interests. Americans for Prosperity, the advocacy group backed by the oil and gas billionaire Koch brothers, set up a Kentucky chapter this year to boost get-out-the-vote efforts. Kentuckians for Strong Leadership, a Super PAC set up to help McConnell’s campaign, also counts oil and coal companies as major donors.